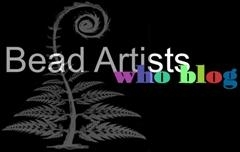 When it came time to provide a title to represent my lampwork bead website, I wanted it to be more then just another title. Afterall, this title would be my website's initial introduction, representing my passion of creating lampwork art and where my imagination comes to life. With that in mind, I also had another interest that was just as important to me as making beads. I wanted to incorporate both of my interests in my title. I am an animal lover at heart and four years ago, when I first saw the Lady Gouldian finch, I couldn't believe the vivid and bright colors this little bird displayed. I have always been drawn to colorful things and this little finch had the most beautiful colors. I also learned this type of finch has different color combinations based on its genetic makeup. That meant more beautiful colors and I instantly became a huge fan of the Lady Gouldian. I immediately began to research the Lady Gouldian, and soon after, I also became the owner of my own Lady Gouldian finches. With my birds and glass in mind, deciding on the website title "GlassMigrations", actually did not take very long. Scientifically, molecules of glass must move, or migrate, from one location to another when melted to produce a bead. And of course, we all know most birds relocate, or migrate, during the cold seasons to a warmer climate. I felt the word "migration" within my title name would capture both aspects of my birds and glass. A simple idea, but it works for me.